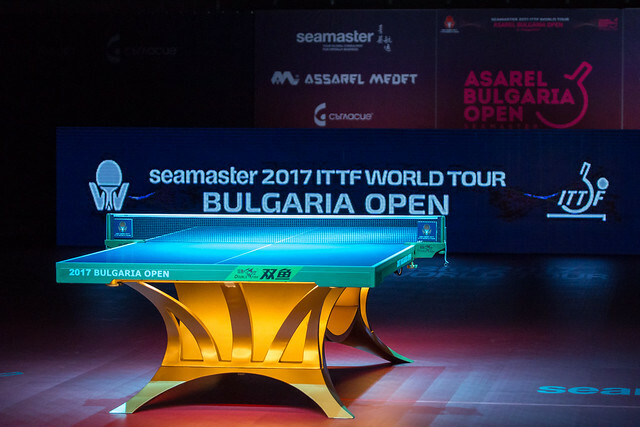 The Men’s Doubles title has been won by Jin Ueda and Maharu Yoshimura at the Seamaster 2017 ITTF World Tour Asarel Bulgaria Open in Panagyurishte, following a terrific display from the Japanese duo on Sunday 20th August. India’s Soumyajit Ghosh and Sathiyan Gnanasekaran were the opposing pair in the final, having enjoyed wonderful results in the Men’s Doubles event leading up to the title match. However, the Indian combination couldn’t achieve the fairy-tale ending they were hoping for as the fifth seeds lost out to Jin Ueda and Maharu Yoshimura who were located right at the very top of the seeding list. The final produced a thrilling contest for the title as the full five games distance was required to decide which combination would prevail. Neither pairing could be separated after the opening four games and so the final would be decided by a fifth end, and eventually it was Jin Ueda and Maharu Yoshimura who came through the tie with the gold medal (11-13, 11-7, 11-4, 6-11, 11-5). Jin Ueda and Maharu Yoshimura have now prevailed in three Men’s Doubles finals on the ITTF World Tour, with their prior titles coming at the 2013 Japan Open and earlier this year at the Seamaster 2017 China Open. Soumyajit Ghosh and Sathiyan Gnanasekaran were appearing together in a Men’s Doubles final for the first time. Defeat for the duo means that India is still waiting for its first gold medal from a Men’s Doubles tournament on the ITTF World Tour.